Before I come as a just judge, I am coming first as the King of Mercy. Before the day of justice arrives, there will be given to people a sign in the heavens of this sort: All light in the heavens will be extinguished, and there will be great darkness over the whole earth. Then the sign of the cross will be seen in the sky, and from the openings where the hands of feet of the Savior were nailed will come forth great lights which will light up the earth for a period of time. This will take place shortly before the last day. "This sign of the cross will be in the heavens when the Lord comes to judge. Then all the servants of the cross, who during life made themselves one with the Crucified, will draw near with great trust to Christ, the judge." For in the last days false prophets and corrupters shall be multiplied, and the sheep shall be turned into wolves, and love shall be turned into hate; for when lawlessness increases, they shall hate and persecute and betray one another, and then shall appear the world-deceiver as the Son of God, and shall do signs and wonders, and the earth shall be delivered into his hands, and he shall do iniquitous things which have never yet come to pass since the beginning. Then shall the creation of men come into the fire of trial, and many shall be made to stumble and shall perish; but they that endure in their faith shall be saved from under the curse itself. And then shall appear the signs of the truth; first, the sign of an outspreading in heaven; then the sign of the sound of the trumpet; and the third, the resurrection of the dead; yet not of all, but as it is said: The Lord shall come and all His saints with Him. Then shall the world see the Lord coming upon the clouds of heaven. This [Cross] shall appear again with Jesus from heaven; for the trophy shall precede the king: that seeing Him whom they pierced Zechariah 12:10, and knowing by the Cross Him who was dishonoured, the Jews may repent and mourn; (but they shall mourn tribe by tribe, for they shall repent, when there shall be no more time for repentance) and that we may glory, exulting in the Cross, worshipping the Lord who was sent, and crucified for us, and worshipping also God His Father who sent Him, with the Holy Ghost: To whom be glory for ever and ever. Amen. Somewhat amazingly, St. Cyril had personally witnessed this phenomenon himself in the 4th century, in a circumstances which can only be said to have anticipated the future occurrence of this event. 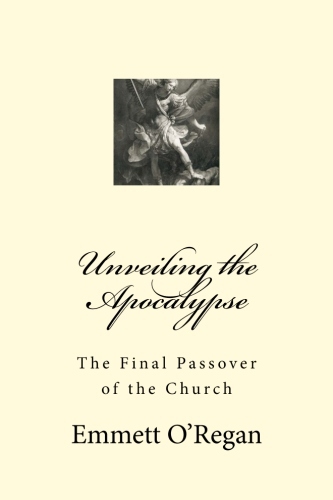 In this new material, I will show how this is an integral component to interpreting the Secrets of Fatima, and that Scripture informs us that the appearance of the Sign of the Son of Man will immediately precede the occurrence of the eschatological earthquake in Jerusalem - which will serve as a warning to humanity of the impending Great Chastisement, culminating in the Final Passover of the Church during the persecution of the Antichrist. 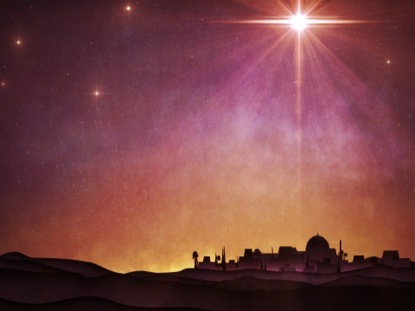 The Sign of the Son of Man is one and the same as the Great Sign seen in heaven described in Rev 12, and just as the Star of Bethlehem heralded the First Advent of Christ, the appearance of this great cross of light will usher in the Second Advent of Our Lord.